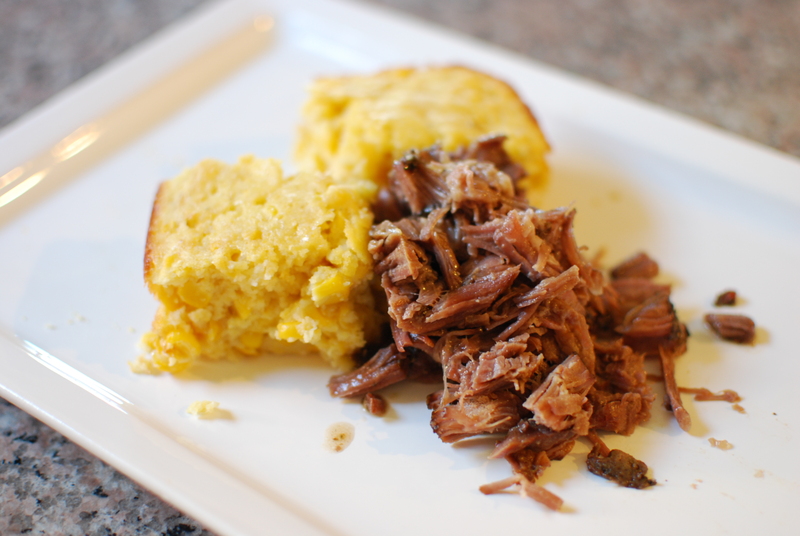 Crockpot Ranch Roast is so flavorful. All but our pickiest eater (who doesn’t each much by the way of red meat) enjoyed this dinner. I made Corn Casserole to accompany the roast, and it was excellent together. Steve said it reminded him of a dish he had in Costa Rica and that’s a really good thing. Mix water through gravy mix in a bowl until thoroughly blended. Brown roast, if desired (I didn’t). Add meat to Crockkpot and add mixture over meat.